The Hand of Hur, Inc.
We just wanted to leave a quick note to wish you a Happy New Year! 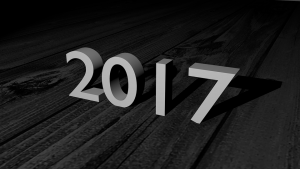 However 2016 was for you… great or not so great, we pray that God’s blessing and presence would invade your life in 2017 and that it would be an awesome year for you and your family! I just want to publically declare that we are believing in an amazing and tremendously blessed 2017 for our family, our ministry, our finances too! Good things are on the way. Thank you to everyone who has taken the time to read, pray and be a financial part of what God is doing in Rome, in Tennessee, and continues to do in Bolivia! We love, appreciate and bless you all. If you haven’t had the chance to, you can still give in 2016! Just click on the “Give” button on the sidebar. Join the Team... Give. We are taking on our largest project yet: we're planting a new church in Middle Tennessee! You can be a part today! Give safely and conveniently through our online giving platform. Below are some websites that are useful or meaningful to us in some way. Have you signed up for our Mailing List? Be the first to know what's happening with the Skippers and their ministry around the world!